I just got these great solar powered fairy lights from Oak Leaf. 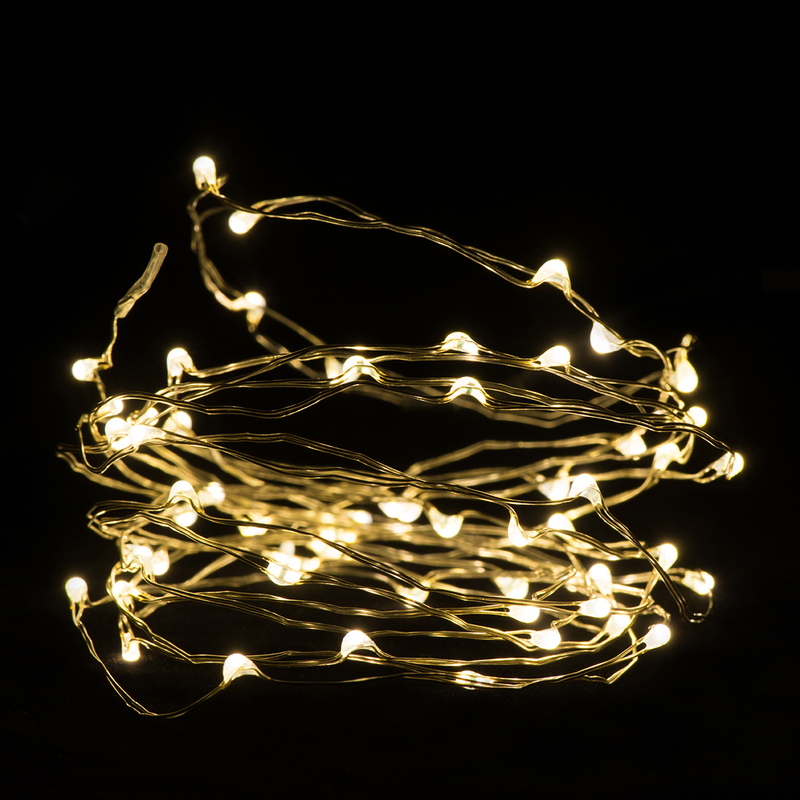 These are awesome little LED fairy lights, you get 60 on this strand. The strand is 8 feet long! The cord is like a very thin wire, so it virtually disappears. They light up really well, the strand is long enough that you can decorate really easily with them for events, Christmas, whatever. The unique thing about these lights is that they are powered by a solar panel. Simply set the solar panel in a place where it will be in the sunlight. Once the sun goes down the lights will turn on and have enough power to last through the night. I love this feature because it does not draw any power from your house and you don’t have to worry about batteries and changing them out. They also operate themselves, i don’t even have to go out and turn them on. Once it gets dark they can come on by themselves when the sun comes back up they shut off!! This is a genius idea for decorating lights. We plan to replace all of our holiday lights with these this year! So easy! These are warm white lights and you can set them to blink or be solid! Power adapter, easy to handle. Waterproof, durable premium quality copper wired, when don’t use, reel in the string lights to keep it tidy. 2 Modes, steady on / Flash; auto on at night; auto off in the daytime, power saving enough. You can purchase these lights on Amazon!